What's the fair value for Indian rupee? 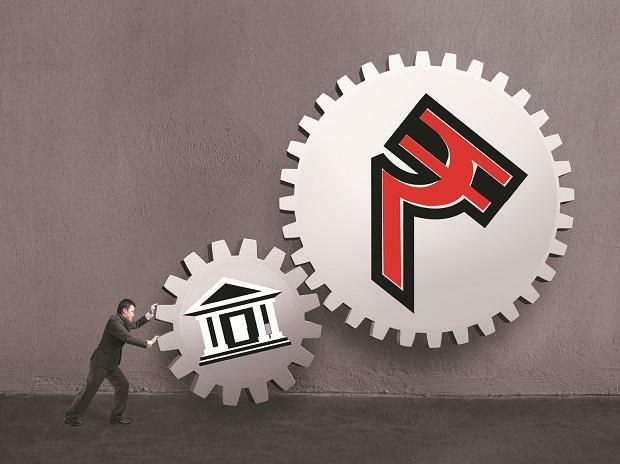 After markets came under heavy spell of selling, the finance ministry assured investors of the exchange rate and liquidity issues in non-banking financial companies (NBFCs). Confident that crude oil prices will move only down south hereon, the government is expecting the rupee to gain against the dollar in coming weeks, sources from the finance ministry said. Brent crude inched below $82/bbl for the first time in the month on Thursday, from a peak of $86.3/bbl on October 3. Citing that oil is critical to the current account deficit (CAD), officials said that softening oil would save the exchange rate from deteriorating further. Ministry officials said the stock market has been affected by external factors, and that the fundamentals of the Indian economy remain strong. ''We stand to gain from trade escalations between the US and China," they said. On D-street, the Sensex plummeted more than 2 per cent in a day to remain just above 34,000, registering a decline of 12.6 per cent since the all-time peak attained on August 28. 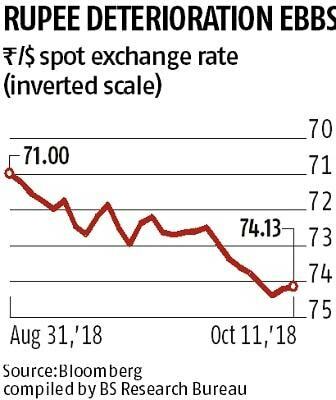 In a move to assuage market sentiment, the government said measures are in place to prevent further rupee deterioration. On a situation, if oil price becomes untenable, a senior finance ministry official said forex reserves would be resorted to. Some public banks have expressed willingness to buy weak assets of NBFCs if need arises, sources indicated. The State Bank of India (SBI) on Wednesday announced that it would purchase loan assets of NBFCs worth Rs 450 billion. However, there is no immediate intent to regulate the NBFC sector proactively. Economists argue that India’s imports would continue unabated despite curbs owing to strong domestic demand. Especially after the Reserve Bank of India kept rates unchanged courtesy modest inflation prospects, they say that the entire burden of CAD would be borne by the exchange rate. The rupee remained over 74 per dollar, albeit gaining a bit later in the day. Sources said that the government is confident that oil price would not rise beyond $85 in this financial year from here on. 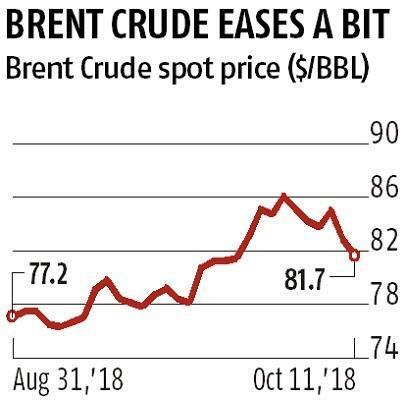 However, in its latest monetary policy report, the RBI has projected that Brent crude would cross $86/bbl in January, owing to winter demand peak. Petroleum stocks firmed through the day. While Indian Oil gained 5.4 per cent on the BSE, HPCL moved up 14 per cent, while BPCL grew 5.1 per cent. On balancing India’s trade, officials in the North Block said import curbs are behind us now, and that most non-essential items have been put under higher import duties. The government hiked import duties twice, first in a mega-hike in the Union Budget 2018, and then on 19 items in September. On Wednesday, the Federation of Indian Export Organisations said neither these steps has resulted in reduced imports. Also depreciated rupee has not resulted in booming exports, they added.